The Heart of Christmas Show has a 36 member cast of talented young singers and dancers and they work hard to bring you a quality Christmas show equally compared to those seen in Myrtle Beach, Branson MO and even New York! Branson MO and even New York! The professionalism of these young artists will delightfully surprise you as they eagerly display their talents. The show has awesome costumes, amazing choreography, and a million-dollar light show! Everything from Elvis to Rudolf or Grinch to Elf, Winter wonderland scenes, Santa Clause and the beautiful second half manger scene segment! This show has it all! How did it all start? Well, after winning a national competition in 1997, Voices of the Heart and their Director LauraStevens decided to take the attention and momentum of that moment and do something good...Thus was born the idea for a Christmas Show that would use children's talents to help sick and abused children. So, in 1998, Voices of the Heart and cast presented the First Annual Heart of Christmas Show. Friends of Children at the Cape Fear Valley Medical Foundation. Friends of Children, The Child Advocacy Center plus many other children agencies and our public schools! The quality and magnitude of this production continue to exceed audiences'expectations with its talented young cast. The Heart of Christmas Show demonstrates the fun and childlike anticipation of Christmas in the first half, then, it progresses into the Christmas story portrayed through beautifully choreographed songs combined with the amazing singing talents ofVoices of the Heart and the cast. Our audiences experience the true meaning of Christmas!!!! Join Voices of the Heart and the cast of the Heart of Christmas Show in their efforts to help children. This is a great project with three-fold purpose... to help sick and abused children in our area, to give talented children from our area a chance to be in a professional musical production so they can work on their talents and it gives our area a quality, NewYork-styled Christmas show, full of whistles and bells, that the whole family will enjoy whether young or old. Local businesses support this project by buying ads in the program book or by donating to this great worthwhile project. 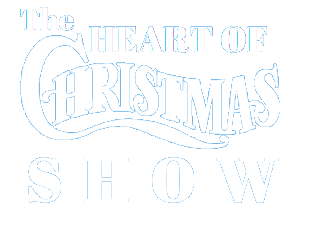 Don't miss The Heart of Christmas Show Nov 24th and 25th 2018! Get your reserved seats early as tickets sell out fast!